Link Group is consolidating its existing operations and technology & innovation teams into a newly created division, operations, technology & innovation (O,T & I), with new executives to take the helm. Paul Gardiner will lead the team as chief operations, technology & innovation officer, while Nigel McCammon is taking the role of chief operations officer, Asia Pacific, O, T & I. The firm said Mr Gardiner and his team will work closely with clients to ensure enhanced opportunities for product, process and service innovation. 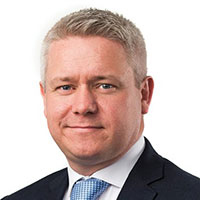 Mr McCammon is said to have held a number of senior operational and client-focused roles across domestic and international financial services. He joins Link from Mercer, where he most recently held the role of head of Mercer Administration Services.